The Vatican gave U.S. Catholic sisters what seems to be a joyfully grateful Christmas card Tuesday morning. 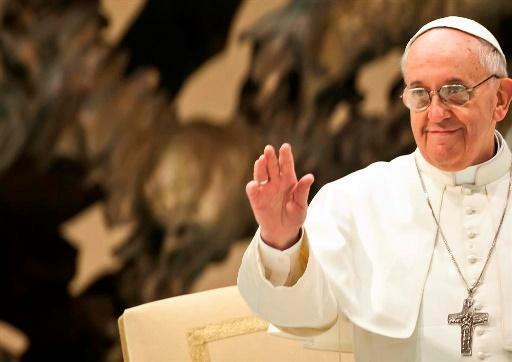 The long-awaited report by the Vatican department that oversees women and men religious was a benediction. The high average age of U.S. nuns was a concern expressed in the report. The report says that “competent women religious” will be involved discovering new roles for women in decision-making in the Roman Catholic Church. It also suggests that pastors respect and work with sisters. Although many of the leaders contacted today in St. Louis were cautious, the responses were a long way from the apprehension expressed when the investigation began six years ago. 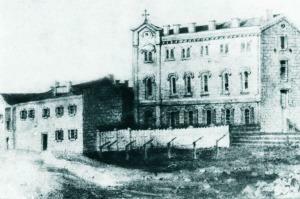 The home of the Sisters of St. Joseph of Carondelet around 1840. The report addresses the concerns raised when the visitations were announced, saying the news was “met with apprehension and suspicion by some.” Indeed, one St. Louis nun called it “intimidating” in an interview at the time with the St. Louis Beacon. Another said she was “hurt to the quick” by the visitation of sisters who devote their lives to the poor and the church. More than a few thought that conservative European bishops were unnerved that women religious no longer wore traditional veils and habits but had taken to heart Vatican II directives that they dress humbly not unlike those they served. Religious habits are not mentioned in the report. “The Final Report on the Apostolic Visitation of the Institutes of Women Religious in the United States of America” thanks American nuns and sisters for two centuries of evangelization in the United States and offers a few strong nudges and concerns about the lack of vocations, the average age of sisters and the lack of numbers to provide rich communal life. The final report has Pope Francis’ imprint all over it. Many of his quotes are included. This first-ever pope from the Americas is known for his years of collaboration -- first as a Jesuit provincial leader then as archbishop -- with Argentinian nuns who worked with those living on the margins of society. He liked nuns who did not wear formal habits but dressed humbly in street clothes and were living in the slums outside of comfortable convents. After crediting nuns for much of the Catholic educational efforts and virtually all of its hospitals, the report found reason to worry. The average age of the sisters who are not cloistered is mid-to-late 70s. And the report found that the age of the sisters may make recruitment of young women more challenging. The 50,000 non-cloistered U.S. sisters is a decline of 125,000 from a high in 1960s, a time described as “a relatively short-term phenomenon that was not typical of the experience of women religious though most of the nation’s history.” The report does stress that nuns don’t retire and even when homebound contribute to evangelization and prayer. While some orders are getting new sisters, others are not. The Vatican mentions that many dwindling congregations now have strong lay associations who help carry out their mission. The report assures that church is praying for and supporting “our” women religious and actively promoting vocations to the religious. Many orders are overwhelmed by the high cost of caring for aging nuns, even though the U.S. laity’s annual donations to a Sunday collection has raised $500 million since 1988. The Vatican visitations focused exclusively on “apostolic nuns,” that is, nuns whose serve outside their convents. Nuns cloistered in their convents, with scant public contact such as the Carmelites or “pink sisters,” were not assessed. A few congregations of nuns declined to cooperate. The report encourages them to rethink their stance and enter into dialogue. The Vatican visitation studied in detail 341 U.S. religious institutes with a membership of about 50,000 nuns and sisters. “Institutes” is a Vatican word for organizations of vowed Catholic religious women. 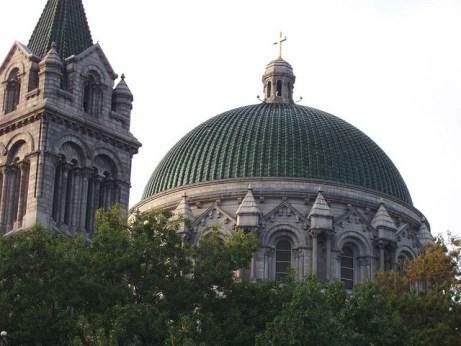 Another name is congregations, such as the Sisters of St. Joseph of Carondelet or the School Sisters of Notre Dame, both of which have national headquarters here. Others are orders including the Dominicans and Benedictines, both with convents here. Mother Mary Clare Millea led the visits. She is the Rome-based leader of the 1,250-member international order of the Apostles of the Sacred Heart of Jesus. About one-fifth of the apostles’ 135 American sisters serve in St. Louis where they lead Cor Jesu Academy in South County. The study included exhaustive data collection, face-to face visitations and evaluation of U.S. Catholic sisters’ communities. Tuesday’s report, nine-pages in its English translation, is only part one. A second shoe will drop when individual institutes’ evaluations are sent from Rome. The study is not connected to the review of the Leadership Conference of Women Religious led by U.S. bishops, which is ongoing. 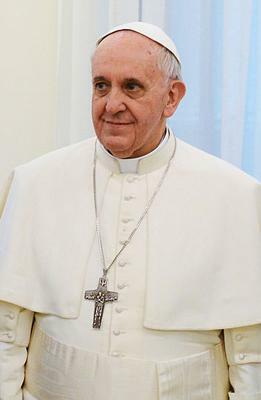 In the 11 months since Pope Francis began his papacy, he has gained widespread approval and a reputation for shaking things up. St. Louis Has Fewer Catholics But Does That Signal Decline? Institutional religions are losing members to those who claim to be “unaffiliated,” people who are often religious or spiritual in some way but don’t belong to an institution. Nearly one in five of U.S. adults are “unaffiliated” according to the Pew Research Center.